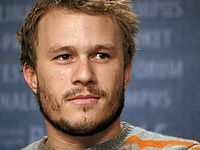 Heath Ledger, (d. 4 Nisan 1979, ö. 22 Ocak 2008), Akademi Ödülü kazanmış Avustralyalı televizyon ve sinema filmi oyuncusu. 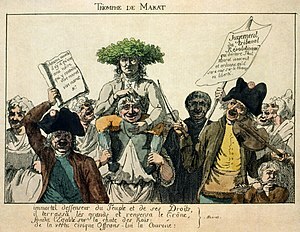 "Marat'ın Zaferi", Jakobenlerin önderlerinden Jean-Paul Marat. ...that in 1661, Lisle's Tennis Court in Lincoln's Inn Fields, London became the first public theatre in England to feature moveable scenery on sliding wings? ...that voice artists who made Gavrilov translations of foreign movies in Russia were once thought to have used a noseclip to conceal their identity? ...that the artist Sigrid Hjertén, a crucial figure in Swedish modernism, tragically died following a poorly performed lobotomy?